As of January 15, the Housing option is full. We will continue to accept commuters and names for a waiting list. Fr. 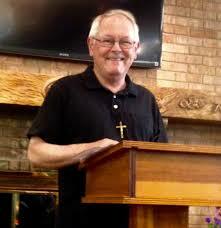 Ron will also be giving a day of prayer on June 14 – topic to be announced soon. Mysticism is the best kept secret within our spiritual and ecclesial circles. But, alongside Scripture, it is a very rich source of insight and revelation from which to draw guidance for our journey. This retreat will draw on the lives and insights of a number of classical and contemporary mystics, Therese of Lisieux, Julian of Norwich, John of the Cross, Ruth Burrows, and Henri Nouwen, to see what these men and women, famous for touching the souls of so many people, have to offer us. How might we live a mystically-driven life? Please fill out the form below to register for a King's House Retreat. Press "Submit" when you are done. If you would like to make a payment by credit card, please call King's House (618) 397-0584 or (800) 779-7909. Thank you! Please indicate your preferred method of payment. To pay with a credit card, please call King's House and Sarah will take your information. If you prefer to pay by check, please mail your payment to King's House after submitting your registration form. Our address is: 700 N. 66th Street, Belleville, IL, 62223. Thank you!